Here is where the rainforest meets the Great Barrier Reef, two world heritage environments combine to produce some of the most stunningly diverse array of food and beverages in the tropical zones of the world. No where else would you find these exotic foods in a first world country. 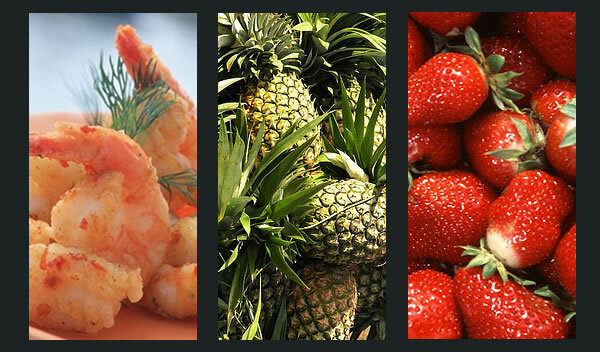 The Australian and Queensland Government’s research and development programs have produced first class quality produce in agriculture and fisheries that exemplifies excellence in the world market. 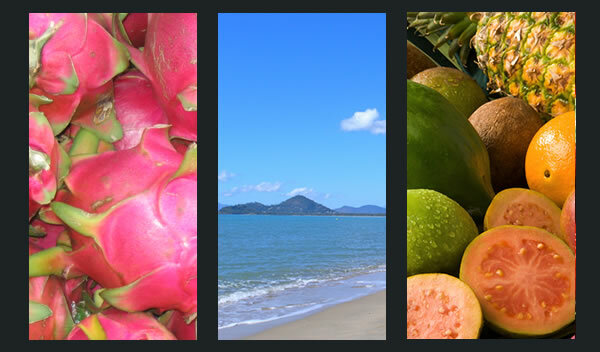 We bring you a feast for the senses in food and wine from Cairns and the Tropical North Queensland region that is informative, educational, and a truly sensational experience. 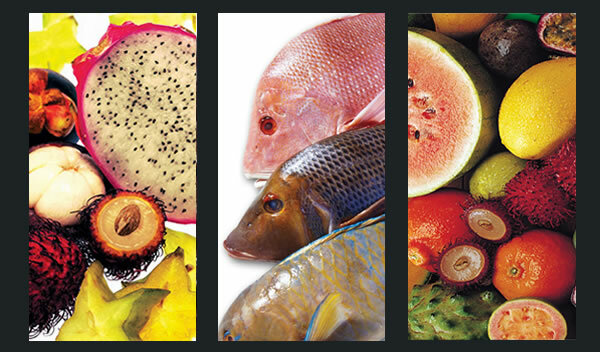 Click on the Exotic Fruit section for comprehensive information on the amazing number of exotic australian tropical fruits grown in this region including mango, lychee, rambutan, mangosteen, papaya, banana, sweet pineapple, lime, pumelo, jackfruit, mamey and black sapote, abiu, carambola, graviola, passionfruit, pitaya, sapodilla, star apple, vanilla. In the Tropical Seafood section you will find information on 32 species of some of the best seafood in the world. Queensland Catch seafood listed includes Barramundi, Coral Trout, Banana Prawns, Endeavour Prawns, Tiger Prawns and King Prawns, Moreton Bay Bugs, Mudcrab, Threafin, Saddle-tail Snapper, Mackerel, Mangrove Jack, to name a few. The Gourmet Food section opens a cornucopia of the value added products of Tropical North Queensland, producers and manufacturers, local food industry associations, providores and gourmet deli’s. 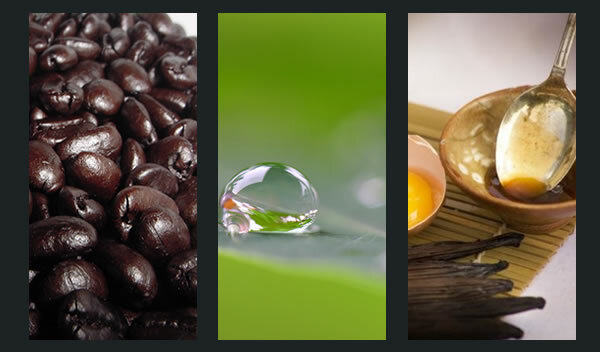 The range of value added products include tea, coffee, cheese, milk, yoghurt and ice-cream, nuts, meat, poultry and eggs, organic and bio-dynamic foods and farm produce. If you are looking for a genuine tropical food experience check out the Restaurants listing of restaurants serving local foods, and to cook it yourself the Recipes section will show you how. Although this region doesn’t grow grapes, that hasn’t stopped some 14 advocates converting some of the exotic tropical fruits into fruit wine with more commercial fruit wine cellar doors than anywhere else in the world. 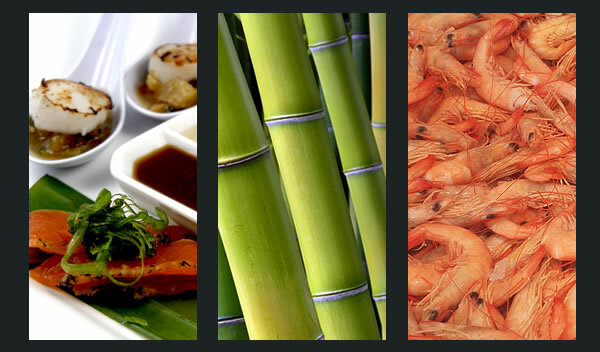 The ‘Taste of the Tropics’ Food Trailscommenced in 2001 and have now developed into a recognised indulgence market sector of the tourism industry. Five trails cover the region from the southern Cassowary Coast of Innisfail, The Mountain Tablelands of Atherton, the Mareeba Savannah Tablelands, Daintree Mossman Port Douglas Rainforest and the Cairns to Palm Cove Coral Coast. Meandering through the website you will find much more information about farmers markets, handy industry links, seasonal calendar, food events as well as up to date latest food news.